So reddit Will Remove any More Articles About Higgs/CERN? I’ve always kind of liked reddit. It was a good way to drive traffic to your blog site. They usually did a pretty good job and were only ever occasionally matched by StumbleUpon. But this afternoon, reddit released this statement on their r/science page – Announcement: We’re being flooded with Higgs/CERN submissions. Don’t submit more of them, since at the moment all of them will be removed. What…the…Fudge?? Okay, I can kind of understand the site crashing from too much input. But to remove content because they are receiving too many submissions sounds a bit funny to me. Are reddit practising some sort of censorship or are they not happy that so much fuss is being made of the Higgs boson particle. I do know that not everyone is happy about yesterdays turn of events. I’ve gotten two rather boorish comments on my last blog post, which coincidentally dealt with the question of the new particle and religion. I’ve been blogging for about a year and a half now and this is the first time, I’ve ever gotten any negative comments. To be honest I was prepared for it. There are a lot of people who don’t like you to question religion at all. And the fact that I questioned that very subject in my last blog lead me to believe that at least a few folks would not like it. I will give them some credit for at least telling us that they were going to be removing the Higgs/CERN submissions, but not a lot. Obviously somewhere in the ‘reddit HQ’ somebody wasn’t happy about the spiralling coverage the discovery was getting. It’s not just reddit though. I first saw an article about it this morning on page 5 in one or our daily newspapers. Page 5?? This is the biggest thing since Albert Einstein came up with E=MC2 back in the day! My daughter and I were saying that this whole thing doesn’t appear to be getting much in the way of attention from the media. Still I thought it interesting enough to blog about and thought someone else might like to hear my musings about the ‘new’ particle. When I posted my blog about the discovery it started garnering views immediately. It shot up to about one hundred and fifty views and then…just…died. After about an hour, it then got one or two more views. Curious I nipped over to reddit to see if the link I had provided had been that badly voted down. That was when I discovered their little announcement. I am a little confused. I thought the whole point of sites like reddit was to allow us to submit links to topical things. And surely it can’t get much more topical than the discovery of the boson particle. I’m beginning to think that the only topical items reddit is interested in are films, photos of cats and dogs and things that will not clog up their feed. I guess that will teach me to support, monetarily, a site like reddit in the future. 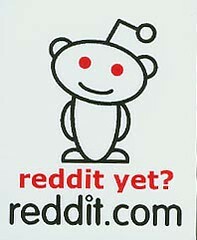 Why wait for the government to censor the net when a site like reddit can do it for them. Author Mike's Film TalkPosted on July 5, 2012 Categories Blog, Entertainment, Political, ScienceTags Albert Einstein, censor, Censorship, CERN, entertainment, Higgs boson, History, Large Hadron Collider, Physics, Reddit, Standard Model, Stumbleupon1 Comment on So reddit Will Remove any More Articles About Higgs/CERN?